How many people did you go with Daniel. 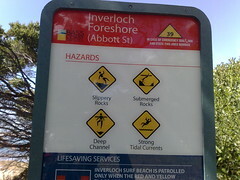 Where is Inverloch? 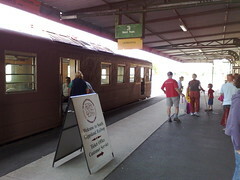 My family and I are going to Ballarat on Sunday. 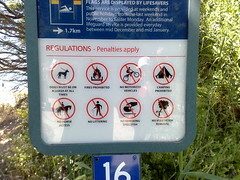 Great part of Victoria. I have many childhood memories of holidays in the area. Inverloch is gorgeous. We spent a few days there a couple of years ago. I know someone who did that mine tour recently. They found it a rather curious thing and told me they’ve introduced all sorts of OH&S precautions there now – they had to wear a hard hat for example. Can’t remember if the PTUA supported it or not when it was an election promise, but when you rode that train were you thinking “I wish V/Line ran here a couple of times a day”? 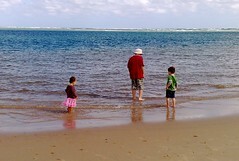 Our family used to go over to Inverloch during the summer holidays every time it hit 40 degrees or over. One time a thunderstorm chased us back from the beach and we had to go back to a friend’s house we knew as lightning nearly hit the car. Surely the safest place to be in a lightning storm is in a car? One of the nice things about travelling by train in Japan is that a front carriage usually (not on the shinkansen (bullet train)) usually affords you a view of the track ahead. I once took a friend on a trip on Tokyo’s Yamanote line that circles Tokyo, all the while looking through the window to the driver and the track ahead. 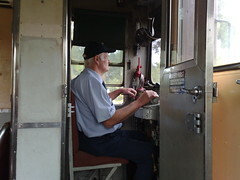 The driver, in full uniform, cap and white gloves, complete with trad-fob watch placed in a holder on the control panel, would, before setting off from each station, point to the green light (as they have to do) signaling the approval to move forward. Japan’s rail system is (except for the minor glitch and major catastrophe) very cool.